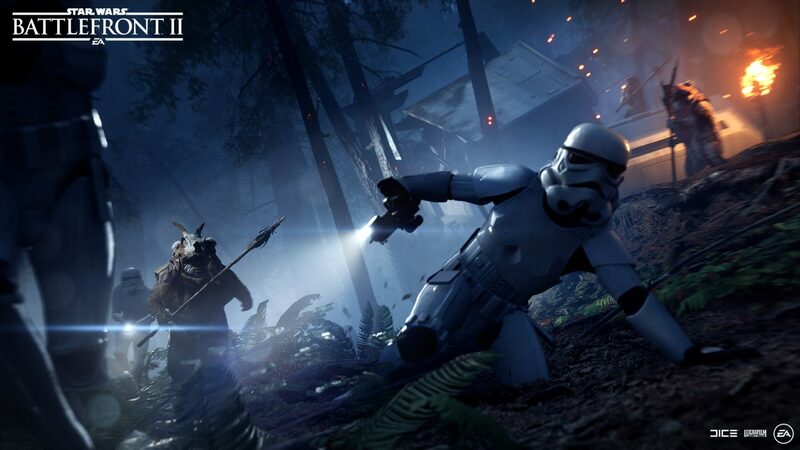 EA and DICE have a fun announcement today for fans of Star Wars, particularly the Clone Wars TV series. As Star Wars Battlefront II heads into its big wave of Star Wars prequel-related content, EA has announced the voice talent for each of the new characters coming to the game through early 2019. Each one of these actors was involved in the Clone Wars series, reprising their roles for the video game. General Grievous, who joins Star Wars Battlefront II on October 30, 2018, is voiced by Matthew Wood. Wood stands out in the cast here, as he also portrayed this character in the Star Wars: Episode III – Revenge of the Sith movie in addition to the Clone Wars series. Next up is James Arnold Taylor, who most of us know as Tidus in Final Fantasy X. He also happened to voice Obi-Wan Kenobi in the Clone Wars series and will be coming along with the character to Battlefront 2 this coming November. Count Dooku is the third of the four upcoming characters, out in January 2019. He’s voiced once again by Corey Burton, who is perhaps most known in gaming for doing several voices in the Kingdom Hearts series. Finally, Anakin Skywalker comes to the game in February 2019. He’s voiced by Clone Wars alum Matt Lanter. Lanter has mostly just appeared as Anakin in various Star Wars video games, but he also appeared as Venom in Disney Infinity.